The CaseCrown’s Power Sleeve iPad Pro case not only holds your iPad, but also keeps your Apple Pencil in place, and built-in angled Lightning cable is designed for convenient charging. The Power Sleeve is a versatile and practical protective sleeve that works with 9.7″ iPad Pro, iPad Air 2, and new iPad 9.7-inch. 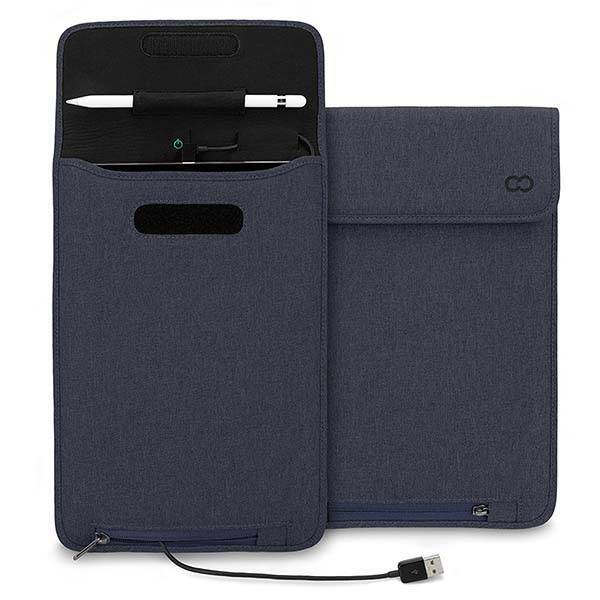 The iPad sleeve measures 15.5 x 11 x 0.9 inches, weighs 5.6 ounces, and as we can see from the images, it features a minimal and sleek appearance design with three discreet color options to meet different personal styles. The exterior of the iPad case is made of canvas and the interior is made of neoprene in order to protect your iPad from bumps and scratches, and its velcro closure keeps your device in place when you’re on the move. 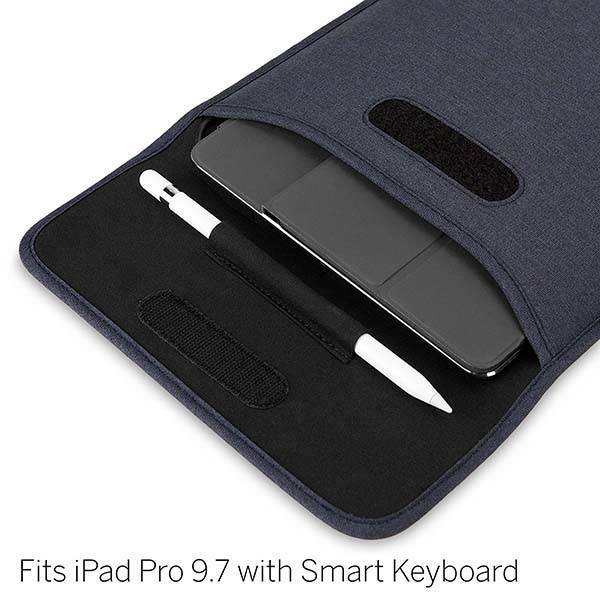 Furthermore, the iPad case also features a built-in Apple Pencil holder for iPad Pro’s best companion, and an included MFI certified angled Lightning cable is designed to charge your tablet without having to take it out from the case. In addition, an extra pocket with zipper is designed to hold the cable in place, and the sleeve supports Apple’s Smart Keyboard. The iPad Pro case is priced at $20.99 USD. If you’re interested, jump to Amazon for its more details. BTW, don’t miss the Loop 12.9″ iPad Pro sleeve and more cool related gadgets by following tags.